“Hidden Harmonies’’ chase the Pythagorean theorem through the centuries, as a panoply of thinkers concocted proofs for it. The new year is not yet a month old, and already I’m eating chocolate doughnuts as often as possible and failing at multiple exercise regimes. But the mind, I tell myself, maybe I can still hammer the mind into shape. Maybe I can be nimble inside my skull, even while the rest of me enjoys this bag of delicious corn chips. Let’s start with a book about the Pythagorean theorem, “Hidden Harmonies: The Lives and Times of the Pythagorean Theorem’’ by Robert Kaplan and Ellen Kaplan. Hypotenuses, Euclidean geometry, a² + b²=c². Can you hear my brain groaning from there? Fortunately, “Hidden Harmonies’’ isn’t entirely painful. The book possesses an alluring lyricism and a good sense of humor, and it’s often as fun to be around as it is mind-pulping. After about page 100, I began to think of it like a good-looking but barbaric Pilates instructor. Over the past 20-plus centuries, a panoply of thinkers have concocted a panoply of proofs for it, and the Kaplans use these proofs to chase the theorem through time, considering whether the ancient Babylonians understood the formula, whether Egyptian surveyors might have used it to help impose the pharaoh’s taxes, and whether the Greek cult leader named Pythagoras actually discovered and proved the formulation that bears his name. 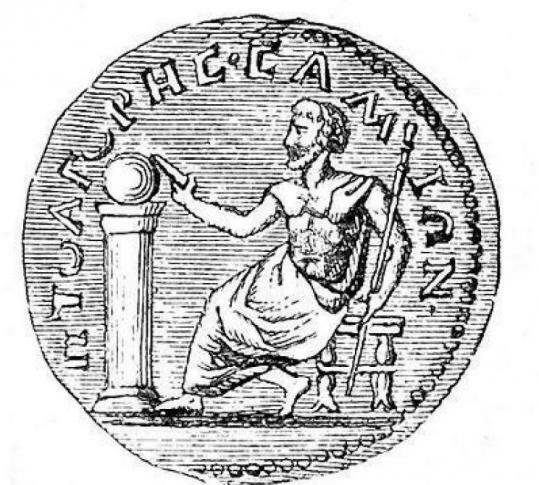 One cannot help but think that Pythagoras, who believed in the transmigration of the soul, and who believed his own soul had once belonged to a prostitute, a fisherman, a son of Hermes, and a peacock, among other beings, is more truly reincarnated in all these proofs as they reverberate up through the centuries. Unfortunately, despite its pleasures, “Hidden Harmonies’’ is often a maddening read, especially in later chapters. This is primarily because the Kaplans sometimes forget that a large part of the American readership includes soft-brained dunderheads like me. Scary math shows up all over the place in this book, and players in mathematics history often leap onto stage without proper introductions. Most confounding, the Kaplans’ prose occasionally becomes so lyrical it becomes Byzantine. Is that brilliant? Or crazily convoluted? Both, I think. What’s a parallel universe? Oh, you know, the idea that if the cosmos is infinite, it’s large enough to contain infinite versions of everything. Infinite copies of you in infinite universes reading infinite copies of this newspaper. It’s also the idea that our universe may be one of many “slabs’’ floating in space, like slices in a cosmic loaf of bread. And it’s the idea that “collisions between braneworlds can manifest as big bang-like beginnings, yielding universes that are parallel in time,’’ and the idea that “every possible universe is realized somewhere in what’s surely the grandest of all multiverses.’’ I can hear fans of “The Matrix’’ rattling their DVDs from here. Few living writers write so lucidly about such complicated stuff. In Greene’s prose, cutting-edge cosmology and particle physics become something a plucky and well-rested reader can apprehend. He can use a thermos and a clammy handshake to explain how regions of space expand too quickly for temperatures to even out, or a hypothetical drinking straw as tall as the Empire State Building to help his reader understand extra spatial dimensions. Indeed, Greene might be the best intermediary I’ve found between the sparkling, absolute zero world of mathematics and the warm, clumsy world of human language. “The Hidden Reality’’ is a wonderful way to coax your brain into a host of strange and unfamiliar domains. Anthony Doerr, author of the story collection “Memory Wall,’’ can be reached at adoerr@ cableone.net.